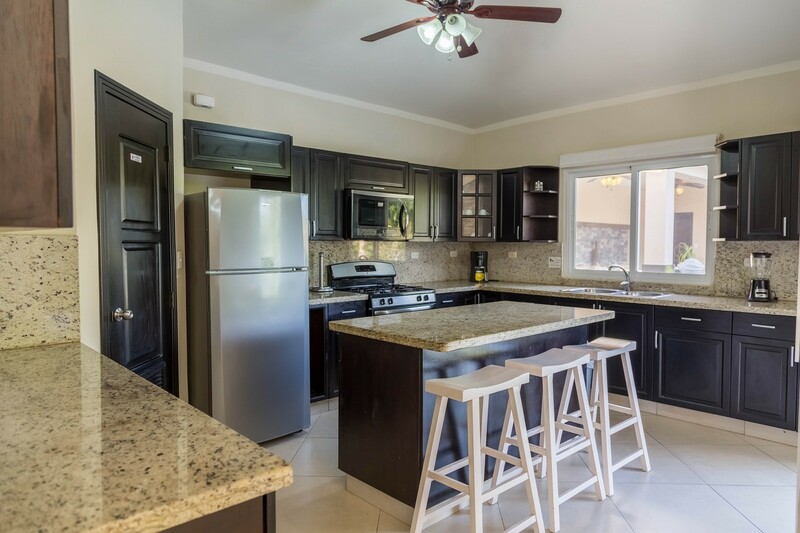 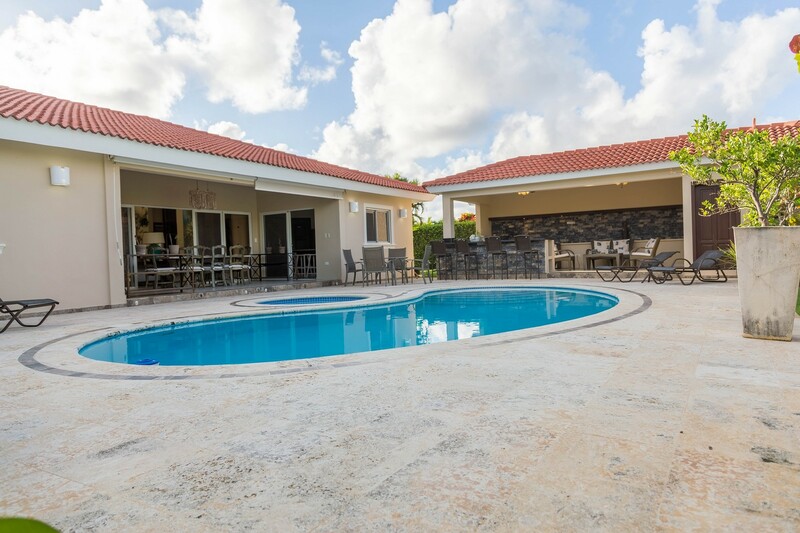 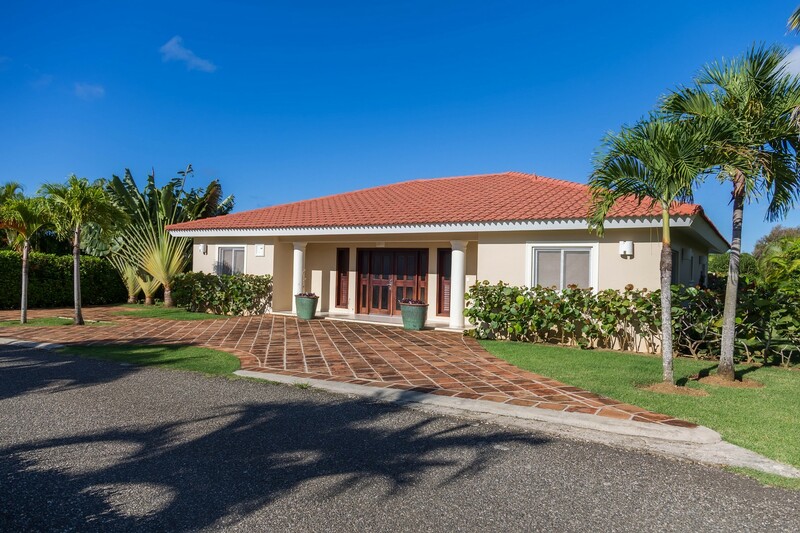 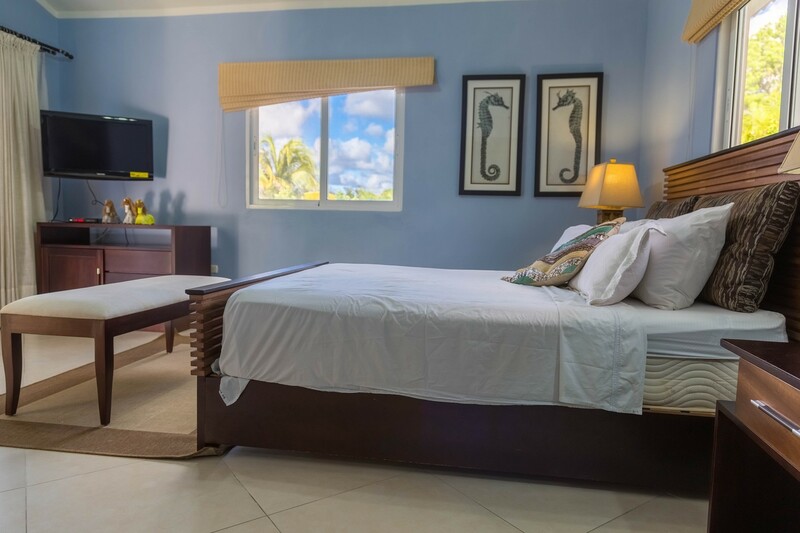 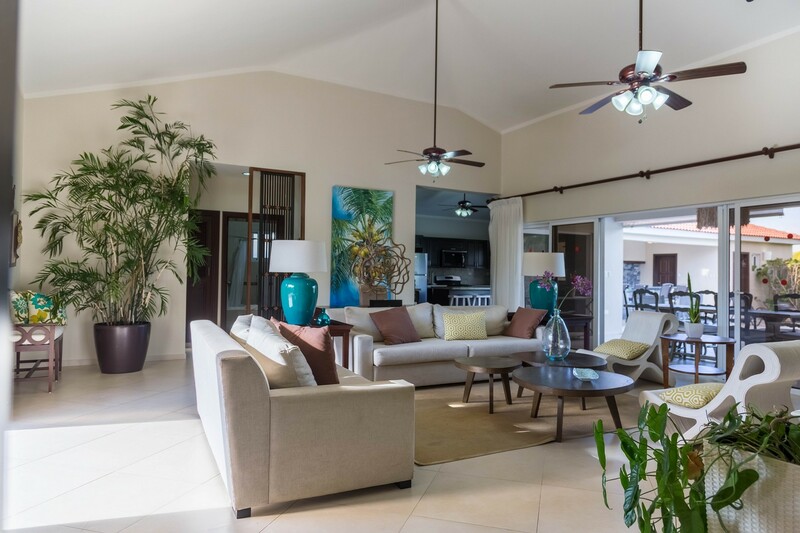 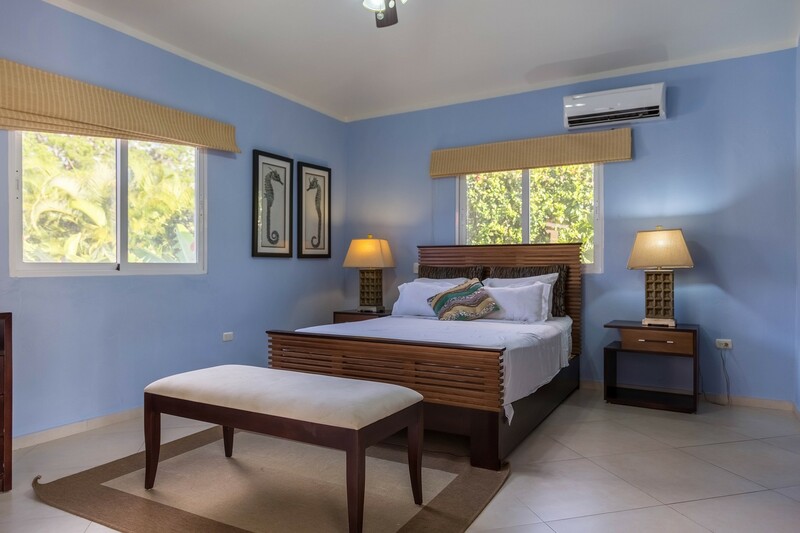 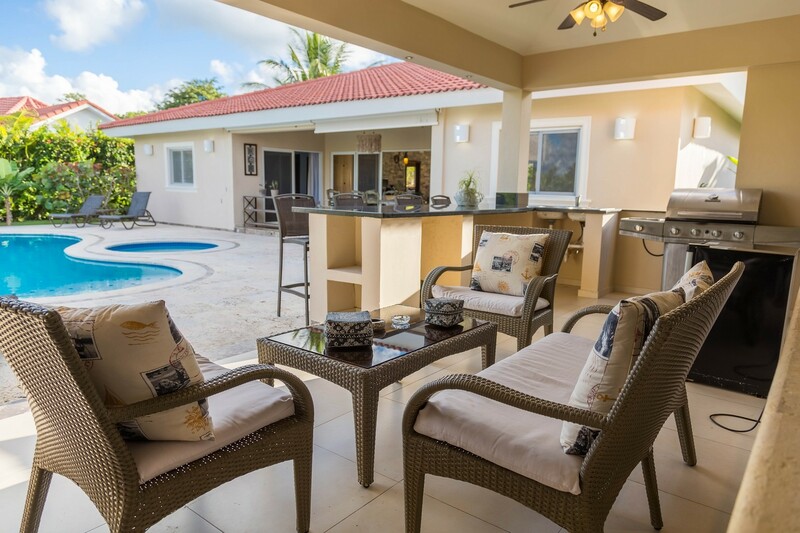 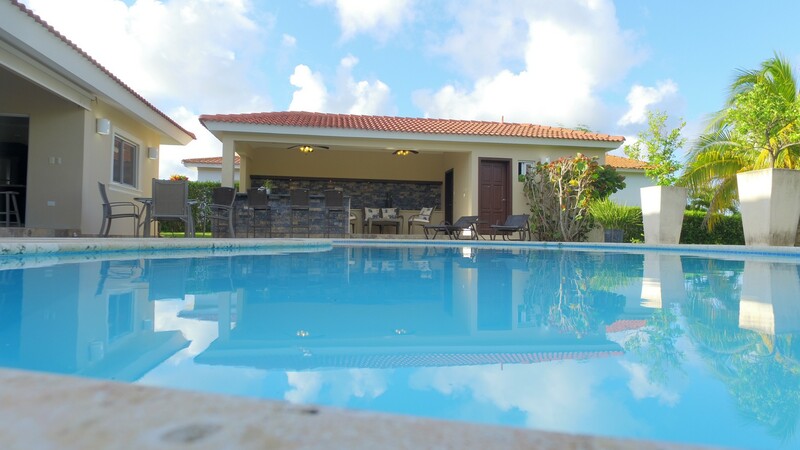 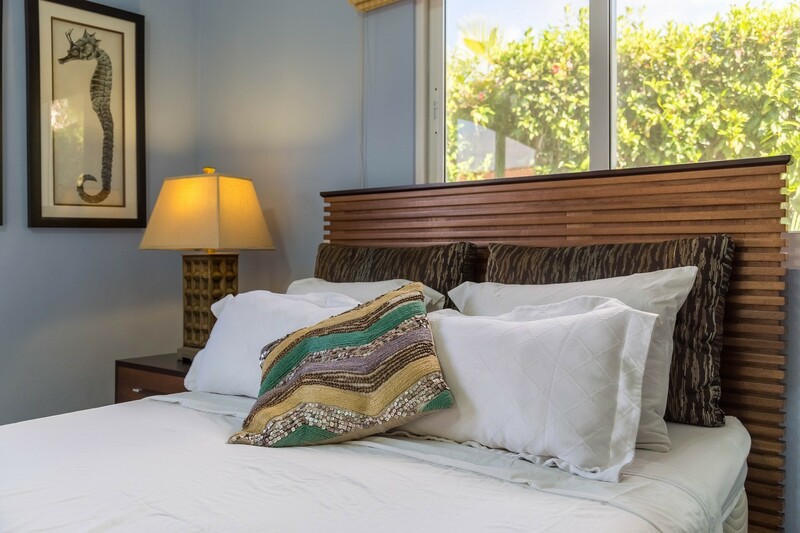 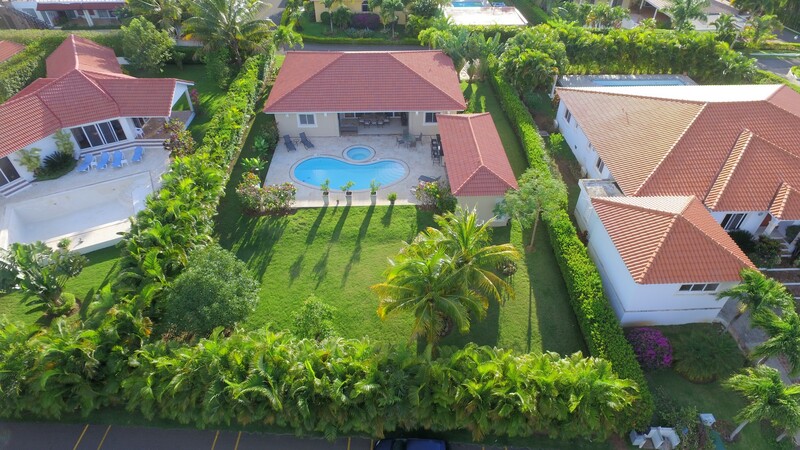 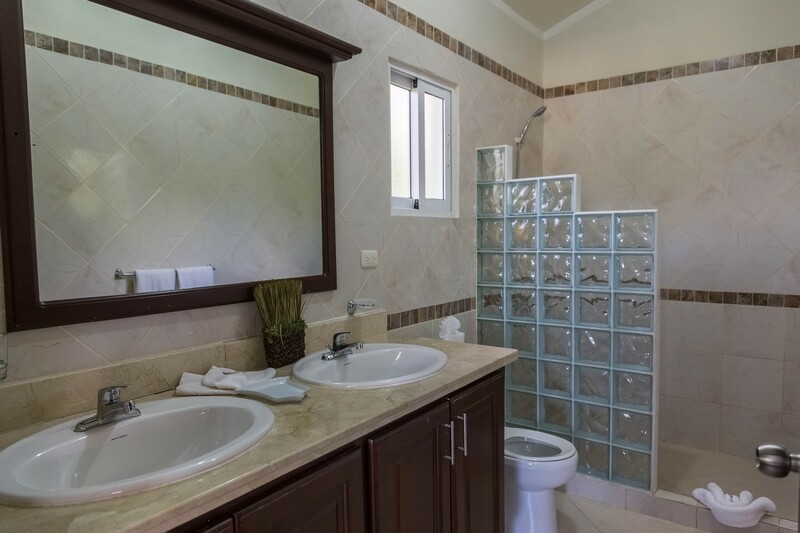 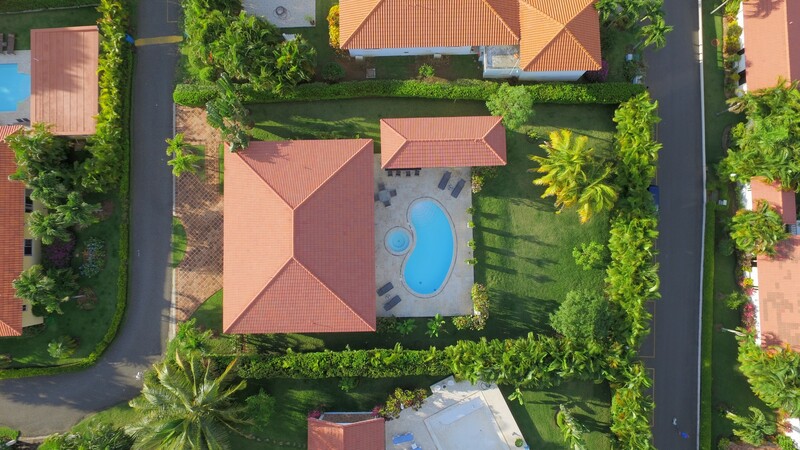 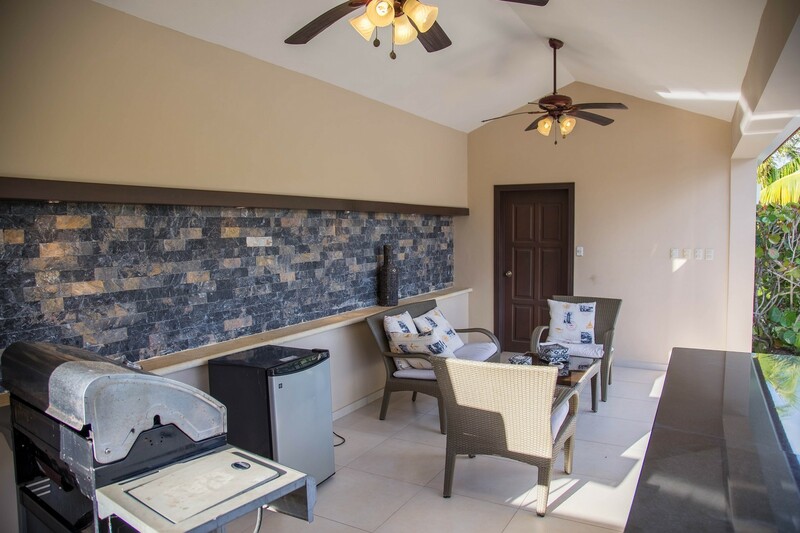 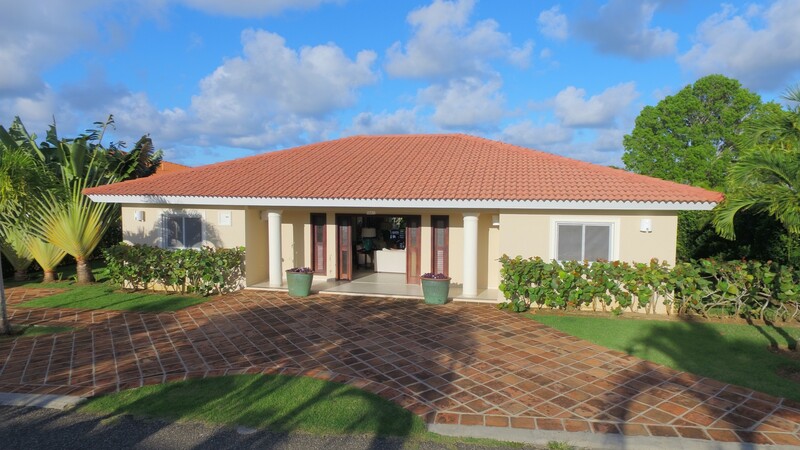 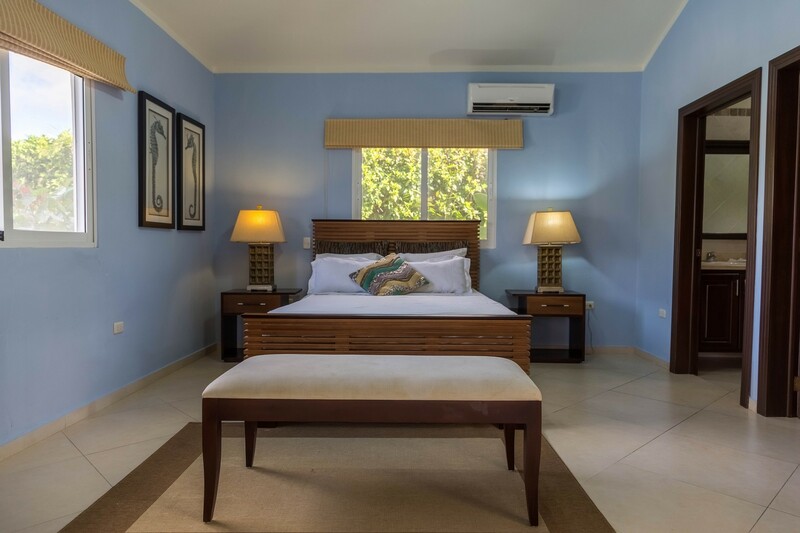 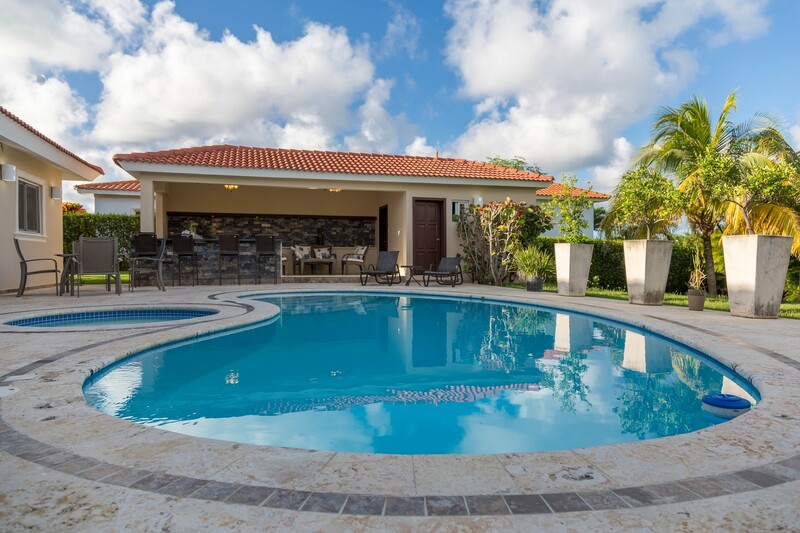 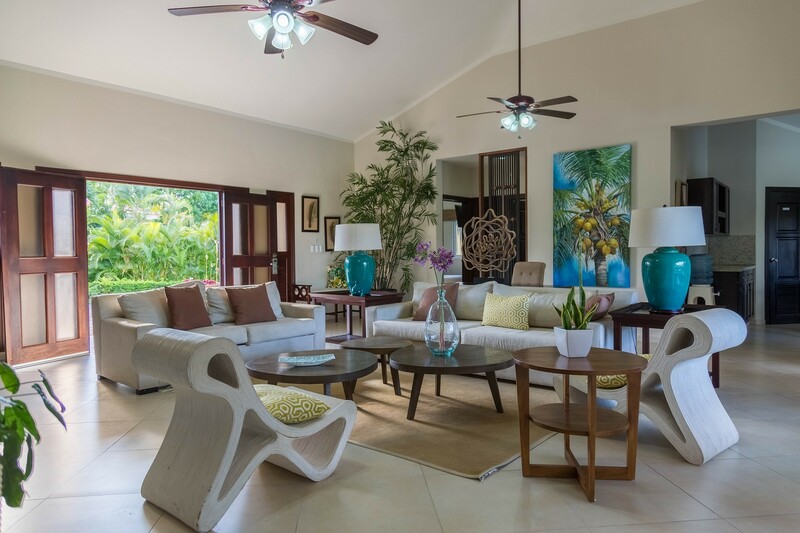 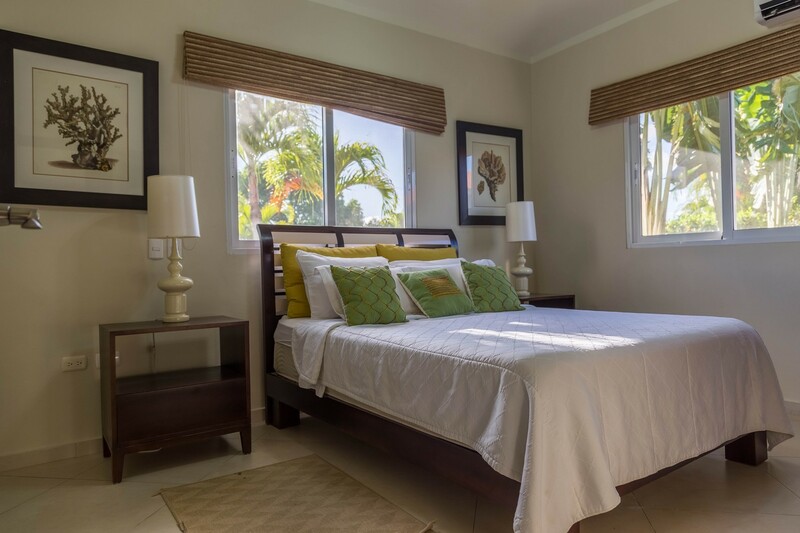 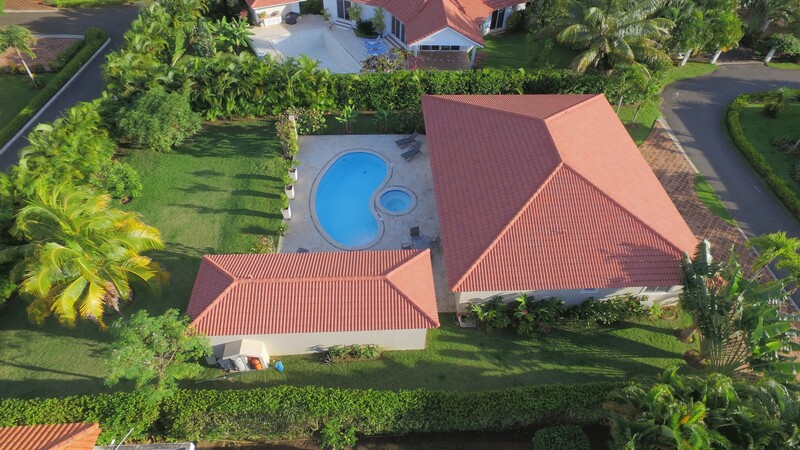 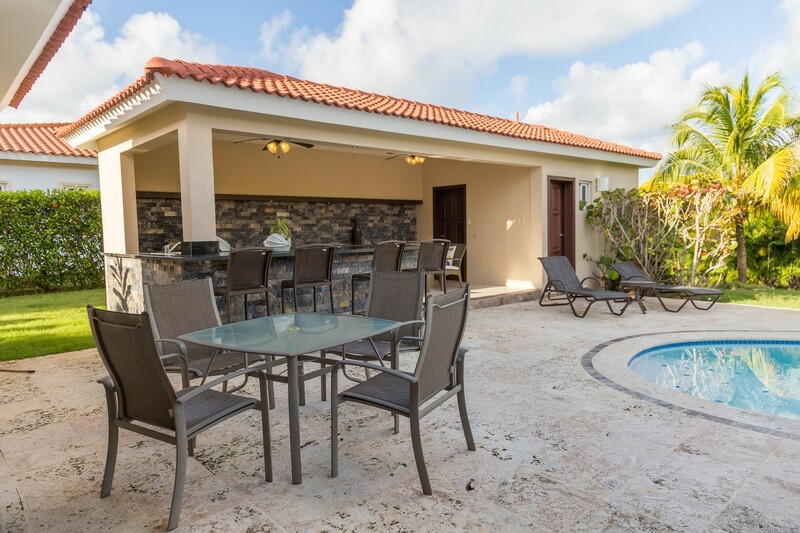 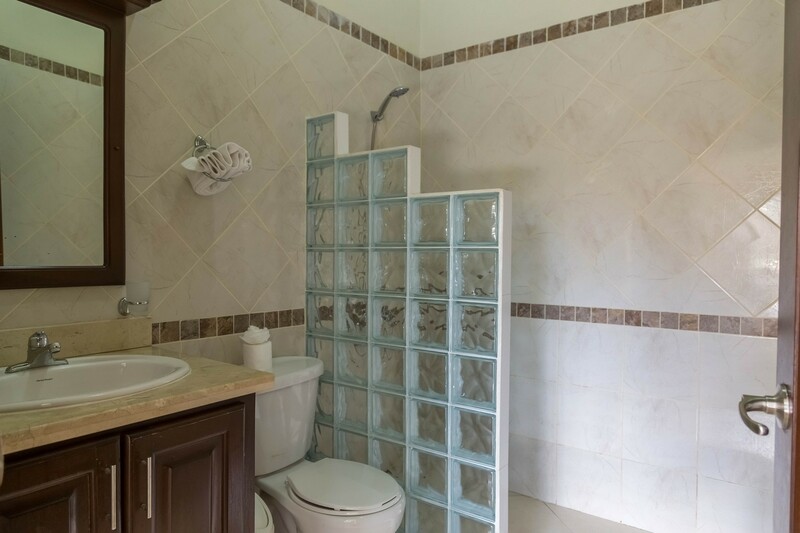 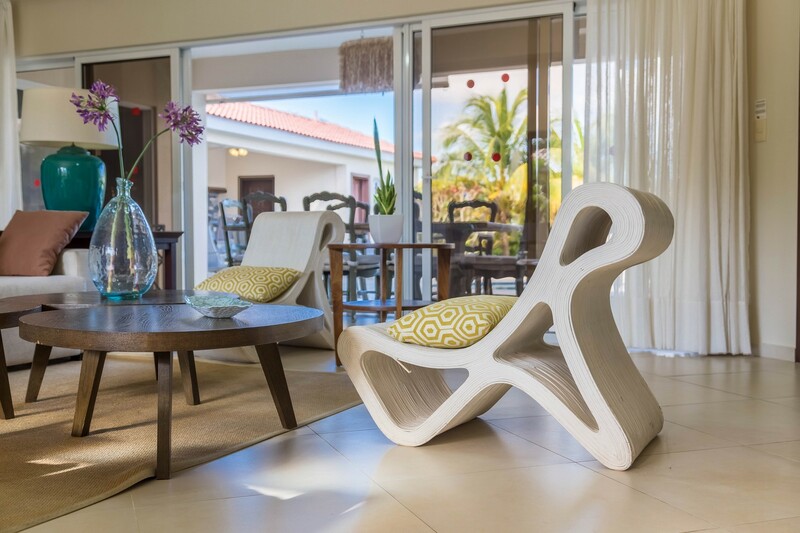 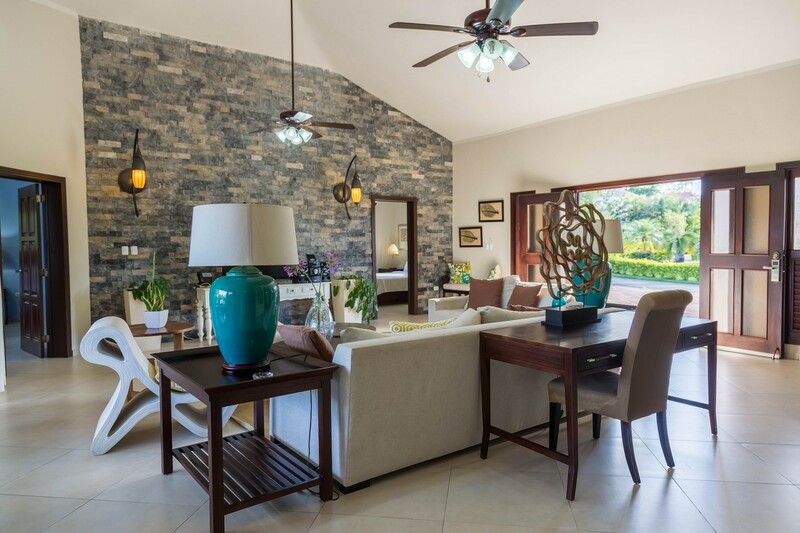 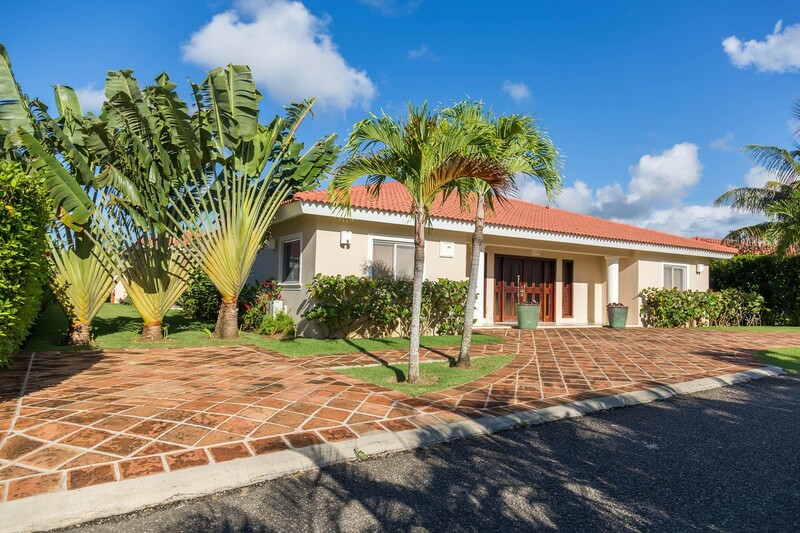 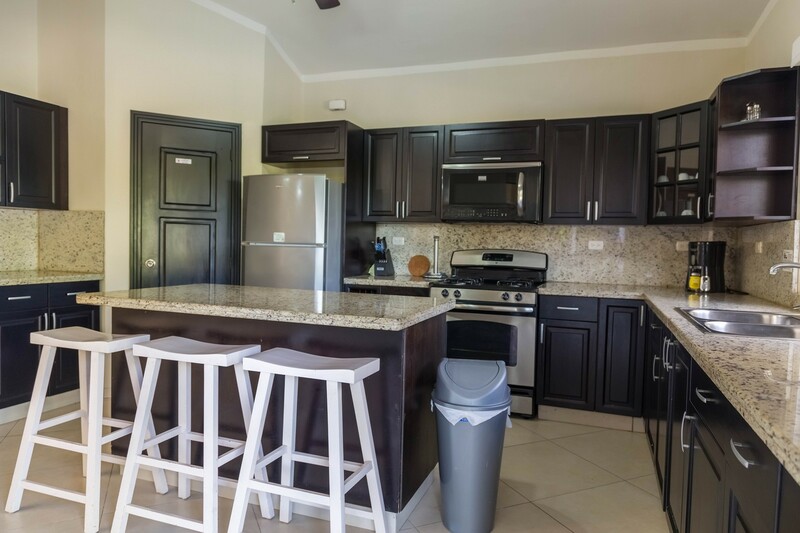 You'll love to vacation in this artfully decorated huge three bedroom bungalow style villa. 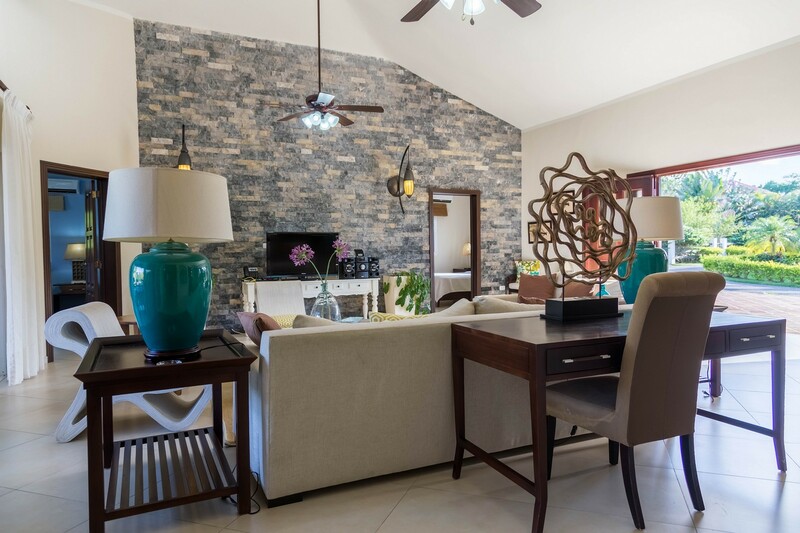 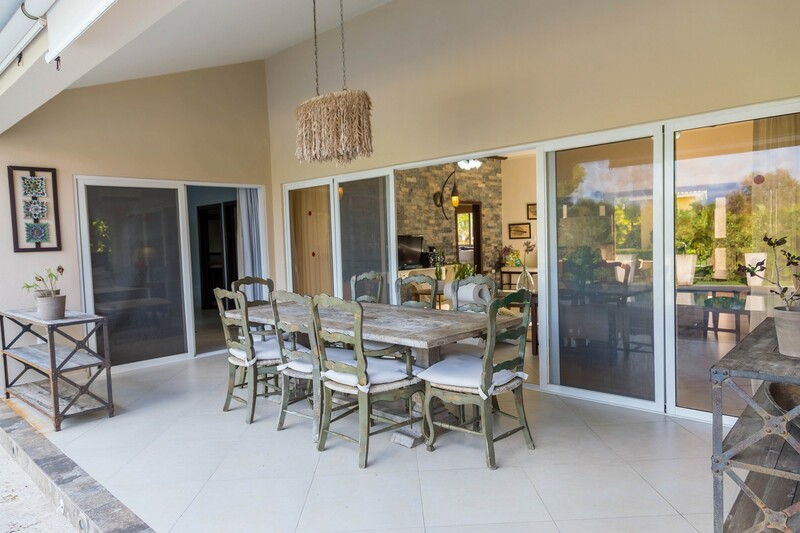 All living spaces are large from the great room with stone feature wall to the kitchen with granite eating bar. 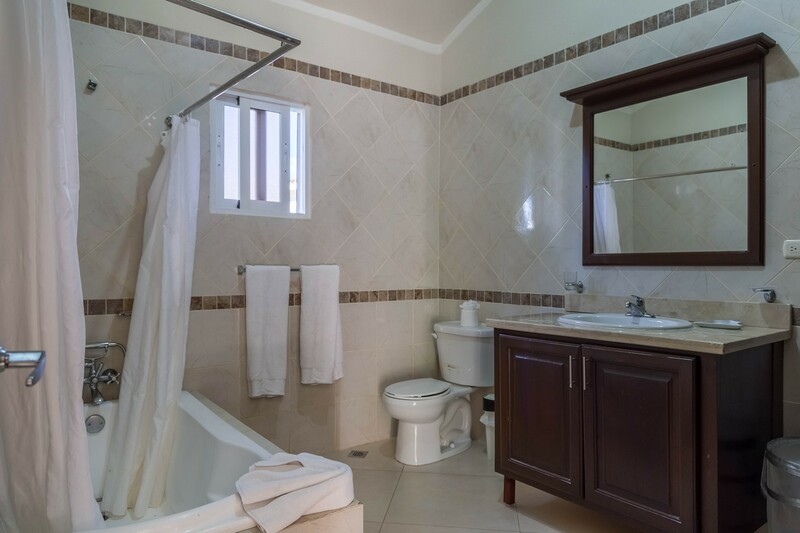 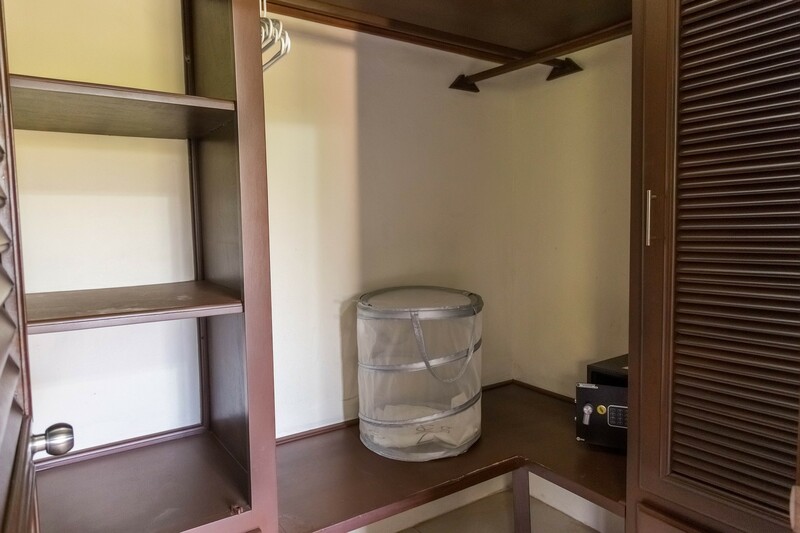 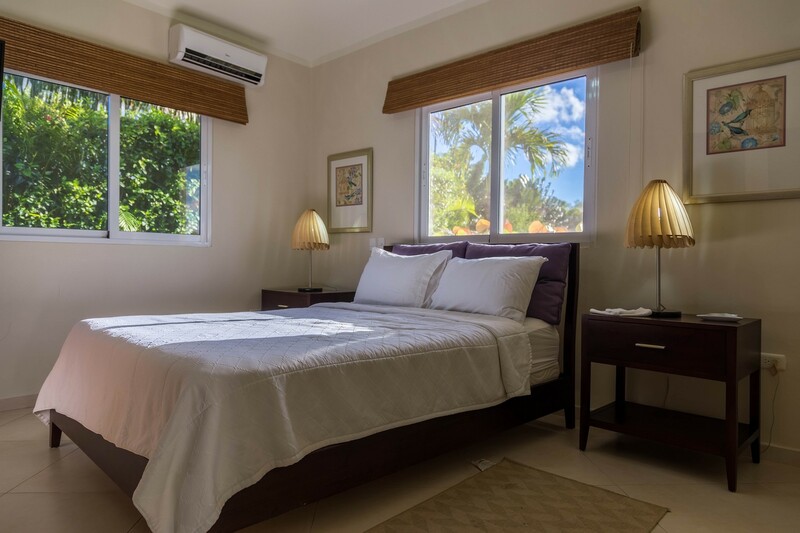 Each bedroom has a full bath, queen size beds, nd totally private from each other. 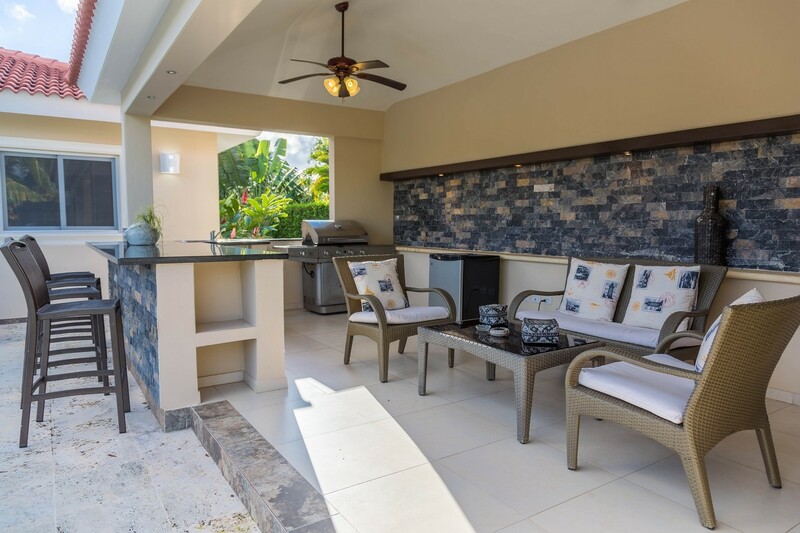 Outside you'll find an outdoor entertaining palapa with bbq, outdoor kitchen, bar, and lounge furniture. 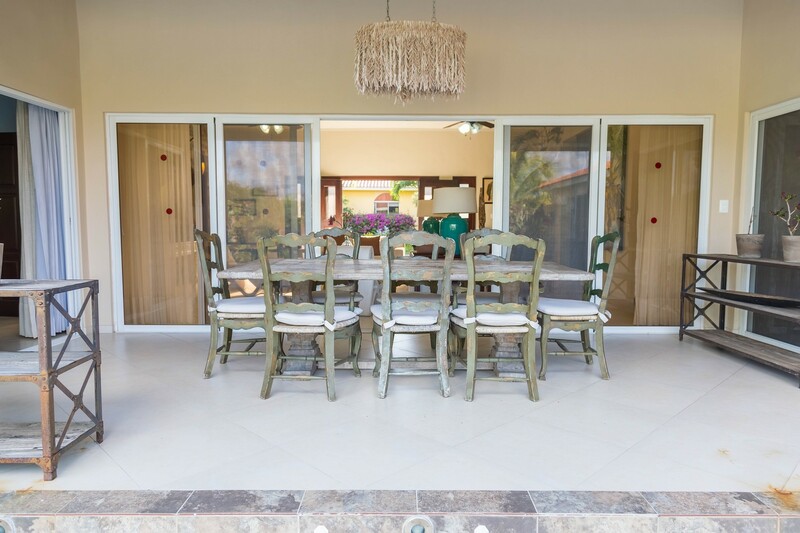  The covered terrace off the villa has an enormous dining set so you can eat al fresco, enjoy morning coffee or have a twilight drink. 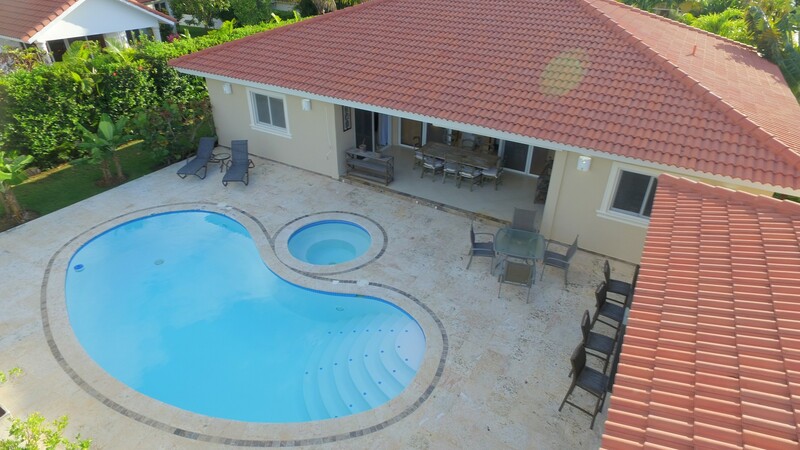 The pretty pool and jacuzzi overlook the big tropical garden. 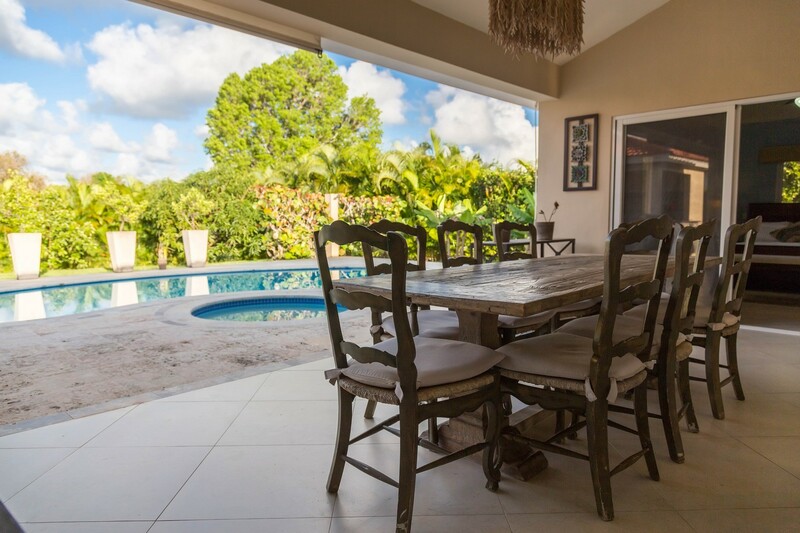 This is the perfect family vacation villa.